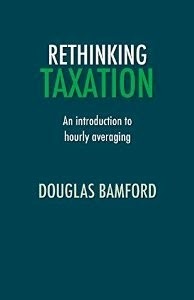 My international taxation proposals are set out in a few papers I have written and also in chapter eight of Rethinking Taxation. Each of these presents the proposal with a different focus. The first paper I wrote on the topic has been published in "Comprehensive lifetime taxation of international citizens: A solution to tax avoidance, tax competition, and tax unfairness,” in Jeremy Leaman and Attiya Waris (eds. ), Towards a New Political Economy of Tax Justice (Oxford: Berghahn Books, 2013). In this I set out my proposal for taxation of international (or multinational) citizens and argue that the approach solves many problems in international taxation. I argue that there are practical reasons why states would agree to cede some of their power over tax gathering if recent trends in the "offshoring" of the tax base continue. I also argue that it provides a useful moral baseline against which we can judge people's tax contributions. The proposal I make is a method of calculating a global tax rate for people (though it could also be applied to companies) who have a relationship with multiple countries. I therefore distinguish between people who are properly taxed only by their primary state of birth and residence from 'international citizens' who would be taxed according to a formula. This is calculated by determining the relative strength of their relationship with their past states (and therefore their citizens), and the amount of tax they would have been charged if they had been resident of each of those states alone. I have set out the philosophical justification for my approach in an article in the journal Moral Philosophy and Politics : "Realising International Justice: To Constrain or to Counter-Incentivise?" The advantage of my proposals arises in the way that the revenues from this global tax on international citizens is shared out. Instead of sharing out revenues in accordance with the relationship of the states involved, there would be a counter-incentive which would reward the states which would tax the individual at the highest rates. This counteracts the tendency for states to compete down on tax rates, though it does not stop states from doing this if they wish to. Each country needs to collect what is due through its own land value taxation system. If a country has a leaky tax base, that is nobody else's fault. People and companies are mobile. Don't even try to tax them, make them pay for their land holdings. Land doesn't go anywhere. What are the Politics of the CLIPH-rate tax?